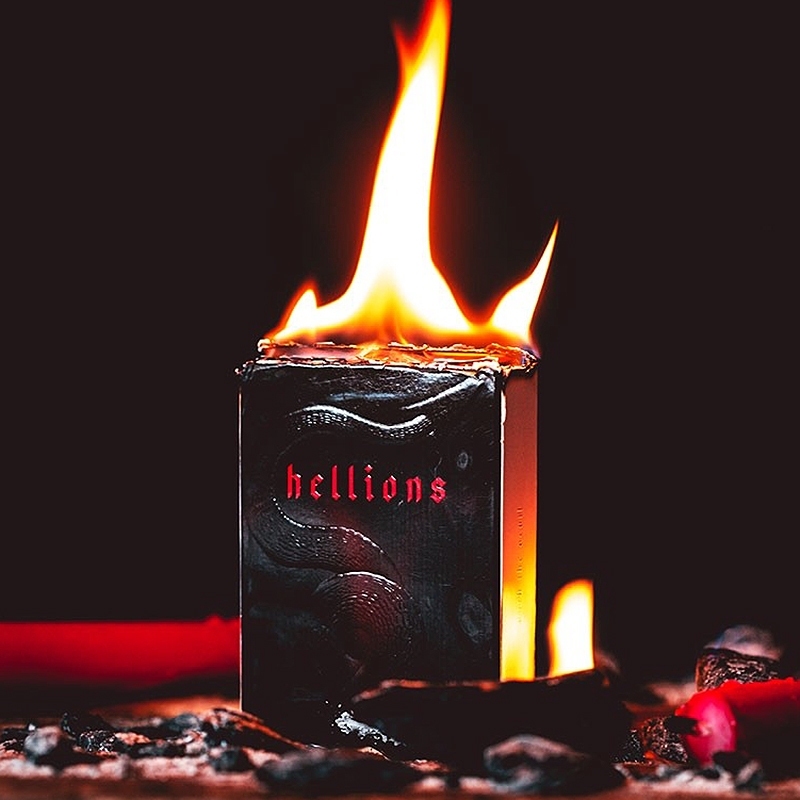 THE LAST MADISON DECK EVER The Madison Hellions have tens of thousands of followers all over the world. They call themselves 'Hellions'. Every one uniquely different, brought together by one design. As the final twisted spawn of Daniel Madison, this deck was birthed just before his departure in 2017. The blood red edition oozes deceit and is entombed in an embossed tuck that's as black as a night you wouldn't go out in. There's something sinister about this deck... and that's why we love it. "I put my heart, soul and art into everything that I do, and this can be seen in Hellions." - Daniel Madison The deck is a true linen B9 finish. Hailed as Madison's favorite stock in recent years. • Ellusionist quality. • The cards are poker size.